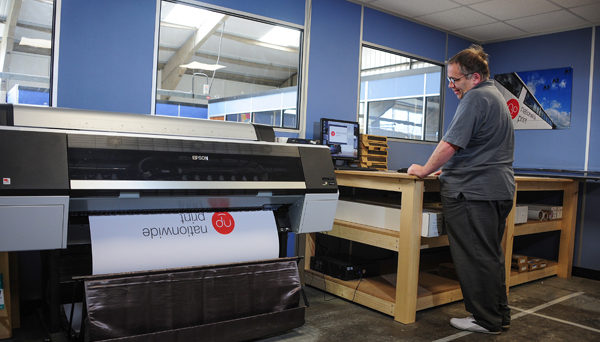 We’ve recently invested in a new Epson P8000 large format printer. The latest in photographic ink jet technology it has a 93% pantone coverage using state of the art Ultrachrome HD inks. The precision core printhead ensures outstanding speed and quality with ultra precise control of dot size and placement. So, if you need it that little bit bigger, including A2, A1 and A0 posters, banners, pop up exhibitions stands as well as bespoke sizes, just drop in and speak to Matt or Mike or send us your artwork and we’ll get the job done.